In response to the ever-increasing demands and pressures on primary teachers, the D&T Association has produced a simpler, slimmed-down, more focused way of recording children’s progress in the subject. These two aids to assessment and recording progression include an editable Word file with all the assessment criteria for Designing, Making, Evaluating, Technical Knowledge and Cooking and Nutrition. This allows you to quickly record and help identify the strengths and areas to develop in practice, next steps for planning and teaching, and support for individual children. This helps to build up a profile of the strengths and areas to develop for each child as they progress through school. The developing profile can be used to inform planning and teaching and to offer children the additional support or challenge they need in their next project. There is space to add notes as appropriate. 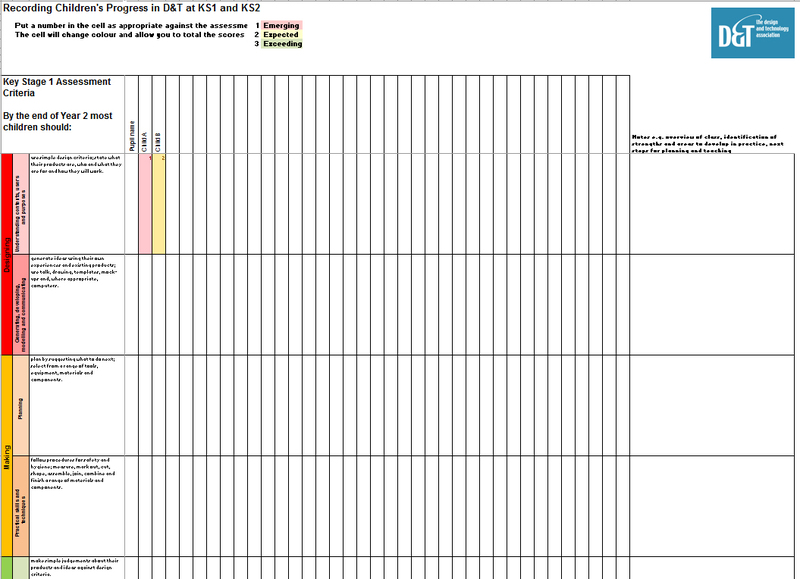 The spreadsheet produces a numerical value to help indicate children’s overall achievement at any point in time. Where there is repetition in the text between assessment criteria, this is because children need to continue to revisit and deepen specific aspects of their learning across several year groups. 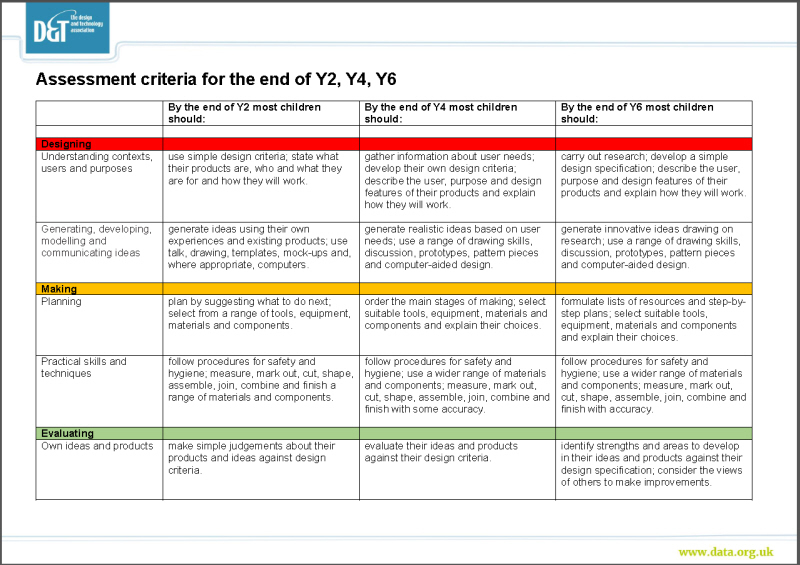 Most assessment criteria will need to be considered over a number of projects and contexts.